I walked down the burn at Kenly from Boarhills this morning. It reminded me of a tropical mountain rainforest. The trees are very tall along the burn. Their leaves cut out most of the light and with all the rain it was very humid. It is a lovely walk just now, but very wet. The highlight was the resident dippers. They added to the tropical feel. 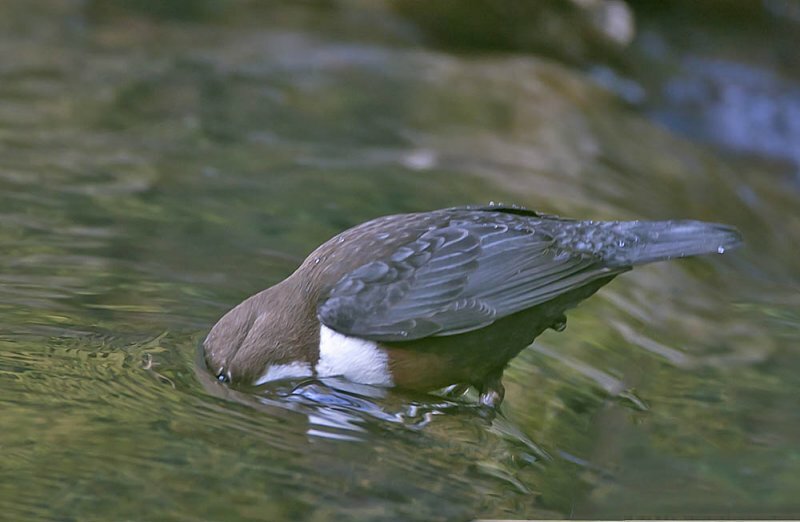 South American forests are stuffed with brownish birds that grub around the sides of streams like dippers. We only have the one, but a very special one. 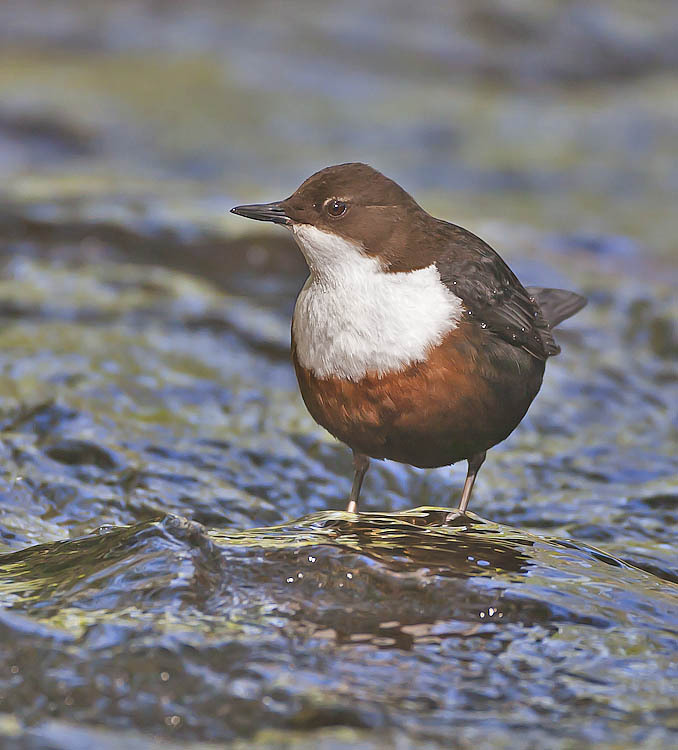 Dippers are the only truly aquatic songbirds we have. They forage underwater on insect larvae like caddis flies. They can swim underwater like penguins and also bizarrely clamber along the bottom using their very strong feet to maintain their position in the strong currents of the streams they favour. There are dippers occasionally on the burn through Cambo and on the Dreel Burn at Anstruther but they are only regular on Kenly Water. There was a single male mute swan at the mouth of Kenly Water. It was extremely grumpy, posturing with its wings curled, hissing and banging its wings trying to frighten me off. I didn’t see a female on a nest nearby – they do occasionally nest on quiet sea beaches – but there must be one there. Mute swans may be common at St Andrews but they are rare around Crail and this may be the closest one nesting to us, if indeed it is. I will have to go back there in a week or two and look for a flotilla of chicks on the sea. There have been one or two sparrowhawks shuttling over my garden in the middle of Crail this week. I think the nest is somewhere in the West of Crail and the birds seem to be hunting mostly in the East, probably where there are young starlings that are around the beaches and the airfield. Every time a sparrowhawk commutes over it is tailed by swallows or swifts or pied wagtails making it obvious to everything it might want to hunt and to me of course. The alarm calls of its potential prey are the best cues that a sparrowhawk is around.